I couldn't figure out if we were supposed to celebrate the 4th this past weekend or the coming weekend considering it's falling smack in the middle of the week. If you have an answer, send it over! One thing I love about holidays is getting to dress for the occasion. When I was younger you would find me in a variety of outfit/hair bow combinations boasting Valentine hearts, Easter bunnies, and stars and stripes. These days I like to be a little more subtle. 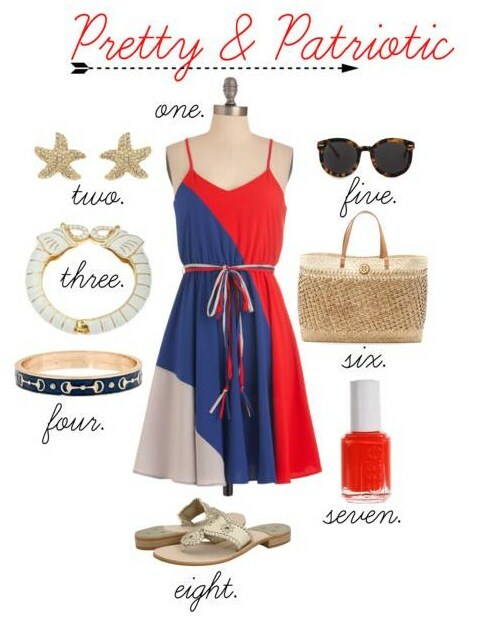 When it comes to July 4th, there are a number of ways to show your patriotism without a bow on your head reminiscent of a firework. It's an opportunity to embrace patriotic color without seeming costume-y. I mean, how adorable are these retro-inspired suits?! Swim caps optional. What better time to sparkle than in the midst of all those fireworks displays? Click over to Blair's to see more images of this stunner. 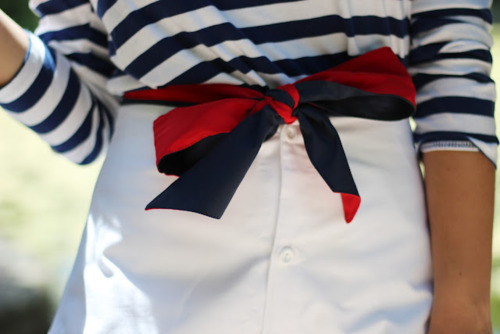 I adore nautical prints and patterns and they seem to come in quite handy around the fourth too! Sarah's lobster sweater paired with white shorts is preppy patriotic. Y'all know how I feel about stripes right now. 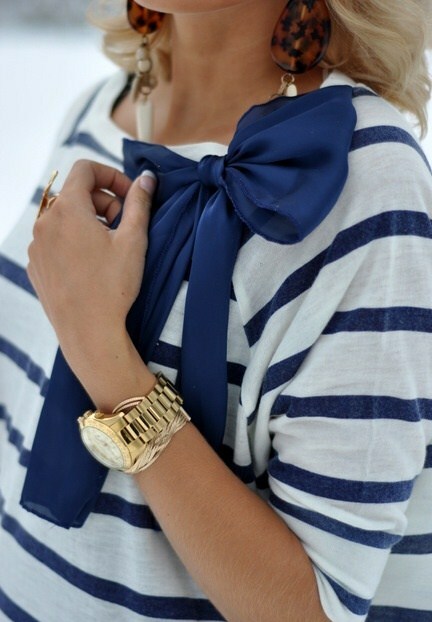 A classic blue and white combo is quite festive and stylish and open to tons of accessory possibilities. If you're looking for an unexpected pop of patriotic spirit, this adorable manicure will do it! And in case you need even more visuals, I've put together the set below. 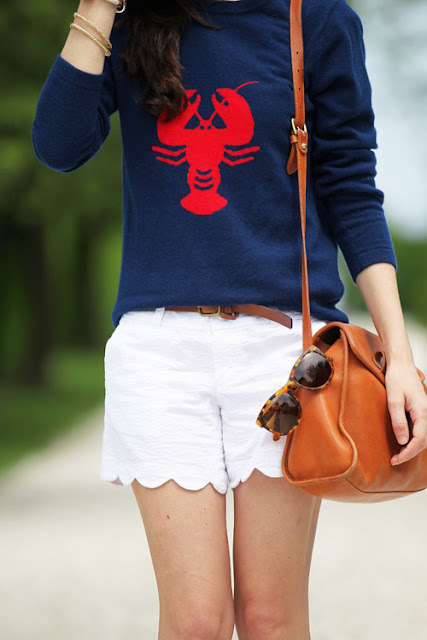 I've got sparkle and nautical covered, for sure! R, W AND BLUE has become a classic! LOVE! love all of these pics! those nails are fantastic xo happy 4th! Seriously love that dress!!! If it wasn't out of stock now, I would have bought it on the spot. You are seriously going to make me go broke. I loove that red mani, one sparkly finger, one striped finger. If only I were that talented with the nailbrush!! Those bathing suits are just precious! So random, but I love that elephant bracelet- so cute!! 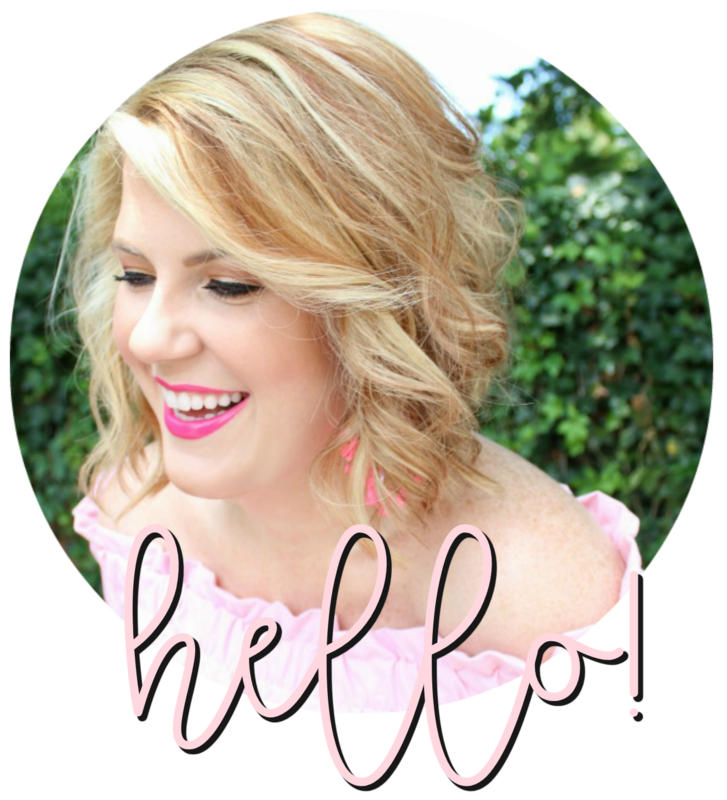 SO MUCH inspiration in this post!! 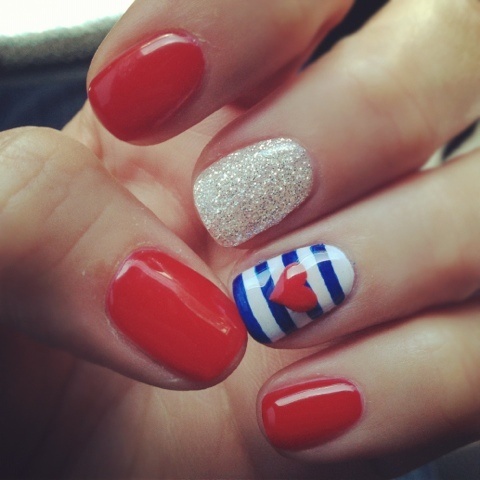 Love the red, white and blue mani!